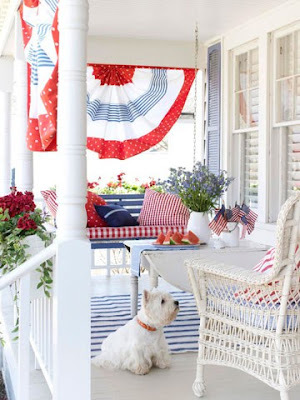 Besides Christmas, the 4th of July is probably one of my favorite holidays for decorating. 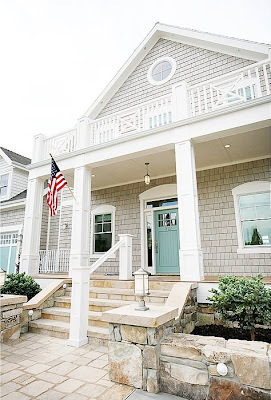 Although many people don’t decorate for this patriotic holiday, it’s easy to show your national pride by hanging a flag or putting some bunting on a porch, window, or other part of your home. 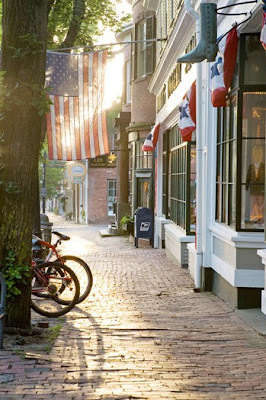 4th of July decorations on homes remind me of a Norman Rockwell type scene of idyllic life in a small town. Hope you can find some inspiration in these gorgeous images. 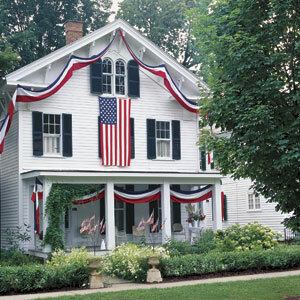 Do you decorate the façade of your home for the 4th of July? Do you hang a flag? Ummm no. But we do have the front of our house lined with Canada flags for Canada Day :O) It looks awesome! I notice no one else on our street did that. But then we are the only ones who werent born here. 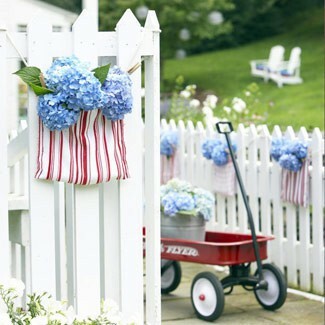 Lovethr decos on the picket fence! 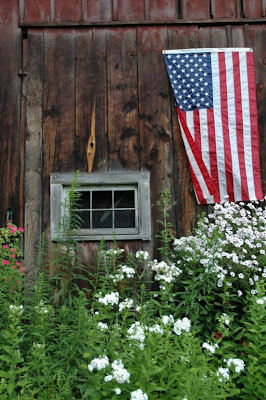 I have a few patriotic decorations on my front porch. Gonna have a fireworks show and holiday cookout tonight at our village square. Happy 4th! I love the pic on the front porch with that cute little dog...thanks for sharing. 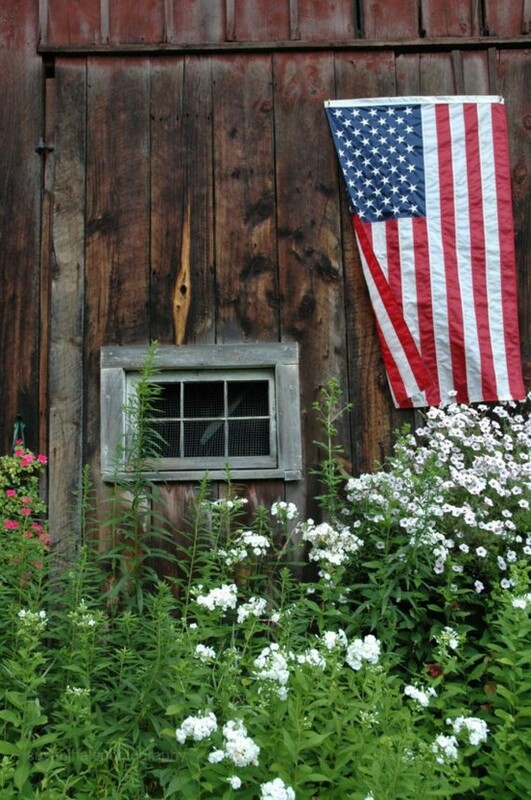 Happy 4th !